Once upon a time, I cooked Thanksgiving dinner in Switzerland. Here’s how that went. 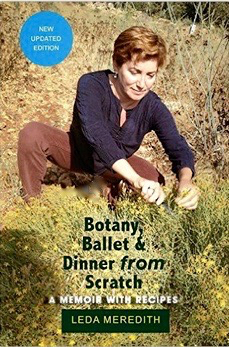 (This is an excerpt from the just-released new edition of my first book Botany, Ballet, & Dinner from Scratch: A Memoir with Recipes. Yep, shameless book plug. 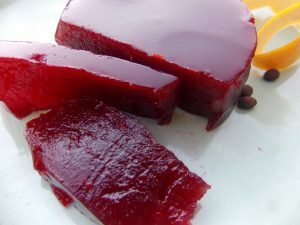 There are photos ahead, and my video recipe of how to make jellied cranberry sauce. 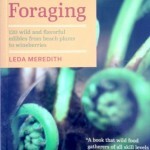 But mostly here is part of the story of how a ballerina ended up working in the sustainable food systems world). My first home-cooked meals in Switzerland didn’t consist of much more than what I’d learned to do for myself on tour back when I tried to save my per diem money by cooking dinner on a hot plate in my hotel room. I’d open a can of tomatoes, another can of green beans or corn, and serve that to myself on pasta with lots of pre-grated packaged cheese. But with every visit my meals got more interesting. In Switzerland, I discovered the farmers’ market and I looked forward to going there on my days off. The food on sale in March was so totally different from what I saw when I arrived to teach in September. The produce seduced me with its freshness and vivid colors. Sometimes they even had dandelion greens, which made me think of foraging in the park with my great-grandmother when I was a kid. Soon I developed a kitchen routine that I fell into each time I arrived overseas. 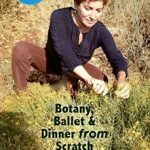 I had a short shopping list of kitchen essentials, and it is still my basic list when I move into a kitchen on the road: olive oil, salt, garlic, vinegar or lemons, dried chili peppers, honey or sugar, and some basic herbs like oregano — the same spices my Greek relatives used every day. Each time I got back to New York, my standby Diet Cokes and bagels from the deli seemed less tasty than they used to. I started to set up my NYC kitchen the way I did on the road, and sought out the farmers’ markets (only a few back then) in the city. When you have great ingredients you have to learn what to do with them. By the time I had been back to Switzerland six or seven times I’d become a decent if not an exceptional cook. One year I was there for the whole month of November. The directors, Rut and Roland, were friends as well as colleagues, and when I realized that I would be there for Thanksgiving, I casually invited them over for dinner. They were intrigued by this American holiday and asked if I would prepare the traditional dishes they had heard about. “Of course,” I said, not realizing what I was getting myself into. Eventually it became clear that I would be cooking Thanksgiving dinner in Switzerland for 12. There was no whole turkey large enough for 12 people to be found in St. Gallen. Why should there be? There is no equivalent Swiss holiday in November, and who eats a whole turkey except during the holidays? Not to mention that it is an indigenous American bird. Ultimately, we had to order one from Zurich. Other Thanksgiving essentials, including cranberries, pumpkin, and sweet potatoes, also proved hard to find. “A potato that is orange inside and sweet?” repeated Roland skeptically. Want jellied cranberry sauce in Switzerland? Make it yourself! Another cultural difference that hampered my Thanksgiving feast preparations was space. I was working in a classic northern European kitchen with a waist-high refrigerator instead of the behemoth that occupies a corner of most American kitchens. It included a freezer that boasted less than a square foot of space. When Max, as I named the turkey, arrived from Zurich, he obviously wouldn’t fit in the diminutive freezer. I stored Max on the roof, grateful that the weather outside was freezing. On the day of the dinner, it was fascinating to see that what was so familiar to me was exotic to my Swiss friends. “Do we exchange gifts? Sing special songs?” they asked. No, I explained, you mostly just eat. I decided not to get into the dubious history of the Pilgrims and the Indians, though I did explain that most of the ingredients were truly native to the Americas. I also decided not to mention anything about the tradition of television football (vs. soccer, which to them is football). The guests found all of it amusing but strange. They also thought that pumpkin pie was a completely weird idea. “A pie made from a squash?” one of them exclaimed, halting a forkful halfway to her mouth when she found out what it was. 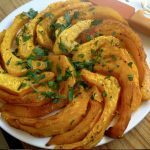 To them, winter squash, including pumpkin, was for savory dishes like soups, not dessert. Since that Thanksgiving in Switzerland, I have cooked for people wherever I have stayed for more than a few days. I’ve cooked on campfires, and I’ve cooked on restaurant-caliber stoves in mansion kitchens. Along the way I’ve become a good cook, and I’ve enjoyed sharing my meals with friends all over the world. And I feel, at least on those nights, that I have come home.